Samoa (The Independent State of Samoa, formerly named Western Samoa) has been designated an offshore financial centre by both the International Monetary Fund (IMF), the OECD and the Financial Secrecy Index. The Financial Secrecy Index, which is managed by the Tax Justice Network, is currently listing Samoa as one of the world’s most secretive banking jurisdictions. 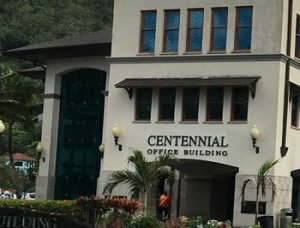 Samoa does not require corporation data to be listed publicly online, and it has a long track record of failing to exchange tax details with other governments. Other governments have also raised complaints against Samoa due to its lack of cooperation with other countries on money laundering issues and other criminal issues. Foreign aid, remittances, export of agricultural products, and tourism are major parts of the Samoan economy. Roughly two-thirds of the labour force work within the agricultural sector, and 90% of the products exported from Samoa are agricultural products. Examples of important export goods are coconut cream, coconut oil, juice of the nonu fruit, copra (dried coconut kernel), cocoa beans, and bananas. Variations in altitude means that both tropical and subtropical crops can be successfully grown on Samoa. The manufacturing sector is heavily focused on agricultural products, with one notable exception being the automotive wire harness factory run by the Yazaki Corporation. Tourism has become increasingly important for the Samoan economy in recent years and now accounts for one-fourth of GDP. The Independent State of Samoa (Samoan: Malo Sa ‘oloto Tuto ‘atasi o Sāmoa) is commonly referred to simply as Samoa. 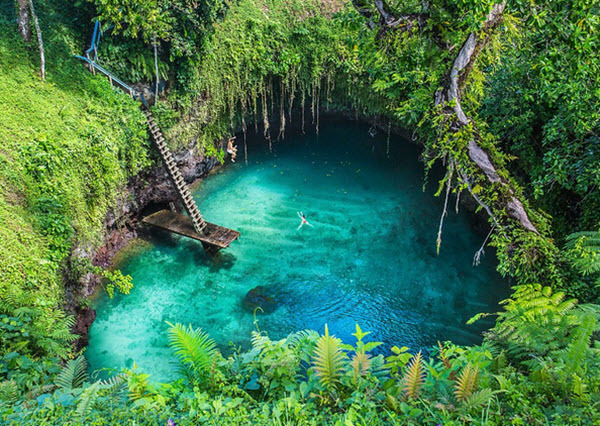 Until 1997, it was known as Western Samoa. Important: The Independent State of Samoa is not the same as American Samoa. American Samoa is an unincorporated territory of the United States located southeast of the Independent State of Samoa. The Independent State of Samoa consisting of two main islands – Savai’i and Upolu – and four smaller ones. Apia, the capital city of Samoa, is found on the northern coast of Upolu. Samoa was settled by the Lapita people some 3,500 years ago. Europeans began to arrive in the early 1700s, and European colonization led to armed conflicts and civil war. By the late 1800s, Germany, UK and USA were locked in dispute over the region. From the end of World War I until 1962, New Zealand controlled Western Samoa as a Class C Mandate under trusteeship through the League of Nations / United Nations. The New Zealand Western Samoa Act 1961 granted Samoa independence, effective on 1 January 1962, upon which the Trusteeship Agreement terminated. Western Samoa was the first small-island country in the Pacific to become independent and it joined the Commonwealth of Nations in 1970. In 1997, Western Samoa changed its name to Samoa. Samoa has carried out several changes in the 21st century to become more aligned with its neighbours, especially New Zealand and Australia. In 2009, Samoa implemented left-side driving instead of right-side driving. Two years later, Samoa omitted 30 December 2011 from its local calender, and the nation moved to the west of the International Date Line. Samoa is now on the same side as New Zealand and Australia, and is just 3 hours ahead of Sydney instead of being 21 hours behind Sydney.